The Lake Ohrid region, a mixed World Heritage property covering 83,350 ha, was inscribed for its natural values in 1979 and for its cultural values a year later. Lake Ohrid is a superlative natural phenomenon, providing refuge for numerous endemic and relict freshwater species of flora and fauna dating from the tertiary period. As a deep and ancient lake of tectonic origin, Lake Ohrid has existed continuously for approximately two to three million years. Its oligotrophic waters conserve over 200 species of plants and animals unique to the lake, including algae, turbellarian flatworms, snails, crustaceans and 17 endemic species of fish including two species of trout, as well as a rich birdlife. Situated on the shores of Lake Ohrid, the town of Ohrid is one of the oldest human settlements in Europe. Built mostly between the 7th and 19th centuries, Ohrid is home to the oldest Slav monastery (dedicated to St. Pantelejmon) and more than 800 Byzantine-style icons of worldwide fame dating from the 11th century to the end of the 14th century. Ohrid’s architecture represents the best preserved and most complete ensemble of ancient urban architecture of this part of Europe. Slav culture spread from Ohrid to other parts of Europe. Seven basilicas have thus far been discovered in archaeological excavations in the old part of Ohrid. These basilicas were built during the 4th, 5th and beginning of the 6th centuries and contain architectural and decorative characteristics that indisputably point to a strong ascent and glory of Lychnidos, the former name of the town. The structure of the city nucleus is also enriched by a large number of archaeological sites, with an emphasis on early Christian basilicas, which are also known for their mosaic floors. Special emphasis regarding Ohrid’s old urban architecture must be given to the town’s masonry heritage. In particular, Ohrid’s traditional local influence can be seen among its well-preserved late-Ottoman urban residential architecture dating from the 18th and 19th centuries. The limited space for construction activities has led to the formation of a very narrow network of streets. Although the town of Struga is located along the shores of Lake Ohrid, town life is concentrated along the banks of the Crn Drim River, which flows out of the lake. The existence of Struga is connected with several fishermen settlements on wooden piles situated along the lake shore. A great number of archaeological sites testify to origins from the Neolithic period, the Bronze Age, the Macedonian Hellenistic period, the Roman and the early Middle Age period. Criterion (i): The town of Ohrid is one of the oldest human settlements in Europe. As one of the best preserved complete ensembles encompassing archaeological remains from the Bronze Age up to the Middle Ages, Ohrid boasts exemplary religious architecture dating from the 7th to 19th centuries as well as an urban structure showcasing vernacular architecture from the 18th and 19th centuries. All of them possess real historic, architectural, cultural and artistic values. The concentration of the archaeological remains and urban structures within the old urban centre of Ohrid, along the coast of Lake Ohrid as well as the surrounding area creates an exceptional harmonious ensemble, which is one of the key features that make this region truly unique. Criterion (iii): The property is a testimony of Byzantine arts, displayed by more than 2,500 square metres of frescoes and more than 800 icons of worldwide fame. The churches of St. Sophia (11th century), Holy Mother of God Perivleptos and St. John Kaneo notably display a high level of artistic achievements in their frescoes and theological representations, executed by local as well as foreign artists. Ancient architects erected immense basilicas, which were to serve as models for other basilicas for centuries. The development of ecclesiastical life along the shores of the lake, along with its own religious architecture, frescoes and icons, testifies to the significance of this region as a religious and cultural centre over the centuries. Criterion (iv): The Lake Ohrid region boasts the most ancient Slavonic monastery and the first Slavonic University in the Balkans – the Ohrid literary school that spread writing, education and culture throughout the old Slavonic world. The old centre of Ohrid is a uniquely preserved, authentic ancient urban entity, adjusted to its coastal lake position and terrain, which is characterised by exceptional sacred and profane architecture. The architectural remains comprising a forum, public buildings, housing and sacred buildings with their infrastructure date back to the ancient town of Lychnidos (the former name of the town). The presence of early Christian architecture with the lofty basilicas from 4th to 6th centuries, together with the Byzantine architecture with a great number of preserved sacred buildings of different types from 9th to 14th centuries, is of paramount importance and contributes to the unity of the urban architecture of the city. Criterion (vii): The preservation of Lake Ohrid dating from pre-glacial times is a superlative natural phenomenon. As a result of its geographic isolation and uninterrupted biological activity, Lake Ohrid provides a unique refuge for numerous endemic and relict freshwater species of flora and fauna. Its oligotrophic waters contain over 200 endemic species with high levels of endemism for benthic species in particular, including algae, diatoms, turbellarian flatworms, snails, crustaceans and 17 endemic species of fish. The Lake Ohrid region also harbours a rich birdlife. Despite a minor modification in 2009, the current boundary of the property still does not fully encompass all of the features that convey the property’s Outstanding Universal Value. Most notably in relation to its natural values, the integrity of the property is limited since only two-thirds of Lake Ohrid located in the former Yugoslav Republic of Macedonia as well as a small part of the lake’s basin have been inscribed. The integrity of the property could be strengthened by extending it to the remaining one-third of Lake Ohrid located in Albania and including other areas essential to the protection of the lake’s watershed, in order to adequately protect the lake’s exceptional biodiversity. Main threats to the integrity of the property include uncoordinated urban development, increasing population, inadequate treatment of wastewater and solid waste, and tourism pressure. In addition, pollution from increased traffic influences the quality of the water, which leads to the depletion of natural resources. The integrity of the property suffered to some extent, as several houses built at the end of 19th century were demolished in order to exhibit the excavated remains of the Roman Theatre. The overall coherence of the property, and particularly the relationship between urban buildings and the landscape, is vulnerable to the lack of adequate control of new development. The town of Ohrid is reasonably well preserved, although uncontrolled incremental interventions have impacted the overall form of the monumental urban ensemble as well as the lakeshore and wider landscape. These are also vulnerable to major infrastructure projects and other developments. Concerning the religious buildings, important conservation and restoration works have been carried out since the 1990s. Conservation works on the monuments in the region have been thoroughly researched and documented, but some have impacted the property’s authenticity. The icons and frescoes are in good condition and kept in the churches. The originally residential function of some buildings has changed over time, as have some of the interior outfitting of residential buildings, which were altered to improve living conditions. While reconstructions often used materials identical to those used at the time of construction, new materials have also been used on occasion, which presents a threat for the authenticity of the property. The Natural and Cultural Heritage of the Ohrid region has several layers of legal protection. The protection of cultural heritage is regulated by the Law on Cultural Heritage Protection (Official Gazette of RM No. 20/04, 115/07), by-laws and a law declaring the old city core of Ohrid as a cultural heritage of particular importance (Official Gazette of RM No. 47/11). The protection of natural heritage is regulated by the Law on Nature Protection (Official Gazette of RM No. 67/2004, 14/2006 and 84/2007), including within and outside of protected areas. 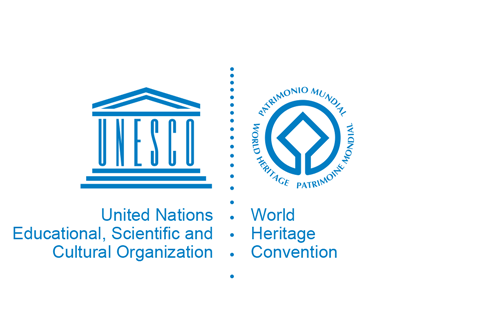 There is also the Law on Managing the World Cultural and Natural Heritage of the Ohrid Region (Official Gazette of RM No. 75/10). Legal instruments need to be kept updated and implemented to protect the property. The property is managed and protected through a range of relevant management documents, and an effective overall management plan is a clear long-term requirement. The “Physical Plan of the Republic of Macedonia” of 2004 provides the most successful long-term and integrated document for land management, providing a vision for the purpose, protection, organization and landscape of the country and how to manage it. This plan needs to be maintained and updated regularly, although some deficiencies have been noted in the general implementation of urban planning regulations and plans. The property is managed by two ministries (the Ministry of Culture and the Ministry of Environment), via three municipalities (Ohrid, Struga and Debrca), although the municipalities legally do not have the authority to protect cultural and natural heritage. The Institute for Protection of Monuments of Culture and Museums in Ohrid has the authority to protect cultural heritage, and the Natural History Museum Dr Nikola Nezlobinski in Struga is responsible for protecting movable heritage. The Galichica National Park is authorized to manage natural heritage within the park as a whole, and part of the cultural heritage located within the territory of the Park. The Institute for Hydrobiology in Ohrid is responsible for the continuous monitoring of the Lake Ohrid ecosystem, the research and care for Lake Ohrid’s flora and fauna, as well as the management of the fish hatchery, also to enrich the Lake’s fish stocks. Integrated management of natural and cultural heritage through a joint coordinating body and joint management planning are urgently needed to ensure that the values of the property are conserved. Given the vulnerabilities of the property related to the development and impacts of tourism, the management requirements for the property need strengthening and new cooperation mechanisms and management practices must be put into place. This may include re-evaluating the existing protected areas, and ensuring adequate financial and human resources for management as well as effective management planning and proper law enforcement. The complexity of Lake Ohrid’s shared natural and cultural heritage requires innovative governance models able to deal with a multitude of management objectives in the broader transboundary Lake Ohrid region. Cooperation between the cultural and natural sectors is essential, and the capacities of site management must be strengthened in order to effectively protect both the cultural and natural values of the property. Effective integration and implementation of planning processes at various levels, cross-sectorial cooperation, community participation and transboundary conservation are all preconditions for the successful long-term management of Lake Ohrid.